Kids can experience real crossbow action with the Wrathbolt crossbow that has built-in arrow storage and comes with 2 Zombie Strike foam-tipped arrows. 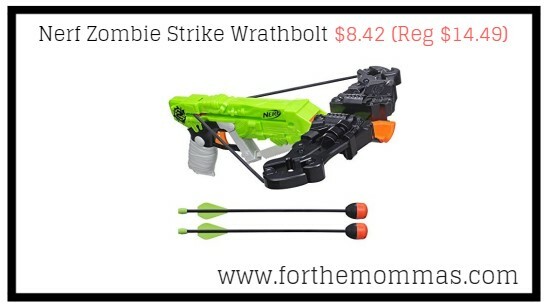 Amazon has Nerf Zombie Strike Wrathbolt for $8.42 (Reg $14.49) with FREE Shipping on orders over $25.00 or with Amazon Prime Orders. The Nerf Zombie Strike Wrathbolt looks and works like a real crossbow.